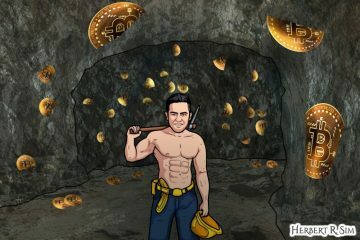 In the illustration above, I attempt to sketch and illustrate Nuclear and Sustainability, while introducing a new concept of possibility using Nuclear specifically for Bitcoin Mining, that consumes alot of electricity and power. As technology becomes more sophisticated and the world becomes more interconnected, we must not overlook the fact that none of it would be possible without a reliable form of energy to literally power these developments. Nuclear energy has long been a part of the energy mix of many countries along with other energy sources such as oil, coal, natural gas, solar and wind. 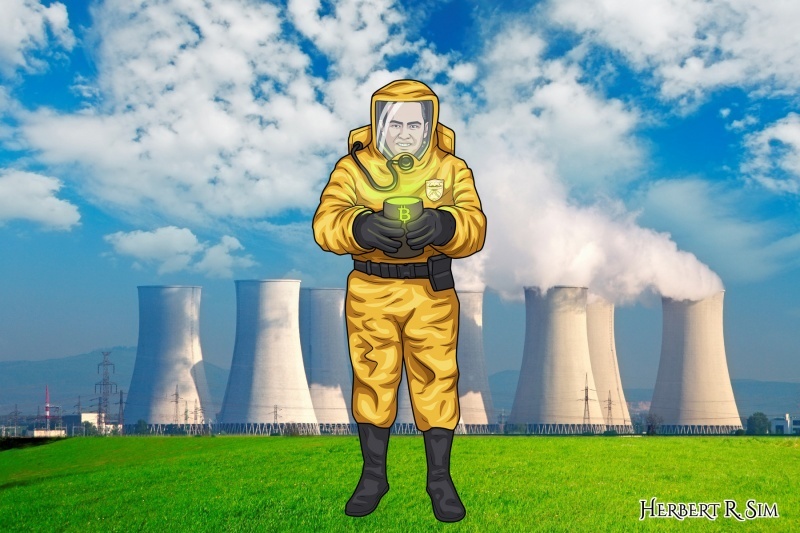 Although the popularity of nuclear energy took a significant tumble due to the Fukushima nuclear accident in Japan in 2011, it is still regarded in many quarters to be a reliable, affordable, efficient and carbon-friendly form of energy generation. One that has long been a viable part of the energy mix in many countries and capable of producing base load power – the continuous supply of electricity throughout the year. By some estimates, nuclear energy is responsible for about 13% of global electricity with countries such as the US, France, China, Russia, Canada and South Korea having longstanding nuclear energy programmes that extend as far back as the 1950s. The US, for instance, had 104 licensed nuclear reactors as of 2010 and received 20% of its electricity from nuclear over the last decade or so. France relies on nuclear energy to an even larger extent as over 74% of electricity that powers its economy and homes was from nuclear in 2012. And even though some countries like Germany have decided to phase out nuclear energy over safety concerns following Fukushima, others such as China, India and Russia are building dozens of new nuclear reactors as they consider it an important part of their energy futures. It is vital that the basic science behind nuclear energy is explained in the interest of building our awareness and understanding of this sometimes-stigmatised technology. Essentially, there are two fundamental nuclear processes that can be used for energy production: fission and fusion. Nuclear fission is the splitting of large atoms such as uranium or plutonium, which are nuclear raw materials, into two smaller atoms, called fission products. In order to be split, an atom has to be hit with a neutron. Several neutrons are also released from this splitting process, which then go on to split other nearby atoms, producing a nuclear chain reaction of sustained energy release mainly in the form of heat. All commercial nuclear power plants in operation use nuclear fission to generate heat which is used to boil water to make steam and drive turbine generators. Nuclear fusion is the combining of two small atoms such as hydrogen or helium to produce energy. These reactions can release more energy than fission without producing as many radioactive by-products, but the process has not been commercially developed yet. Nevertheless, there is strong research interest due to its potential of nearly limitless and low-pollution energy. Due to its carbon-friendly nature compared to fossil fuel energy sources, there is a case to be made for including nuclear as part of a sustainable energy mix, especially in the face of concerns over climate change. Some of the world’s top climate scientists say non-fossil fuel-based wind and solar energy will not be enough to stave off climate change implications like global warming. In November 2013, four of these scientists took the step of sending letters to environmental groups and politicians around the world appealing for their support of the development of safer nuclear energy as a way to reduce fossil fuel pollution that is harming the world. The scientists opine that relying on renewable energy sources like solar and wind alone is not realistic as these sources cannot be scaled up quickly enough to deliver the reliable and affordable power the world needs. Although there are potential risks to using nuclear energy, those risks are outweighed by the risks posed by climate change — increasing temperatures, rising sea levels, extreme weather events, and food and water disruptions. The world cannot afford to turn away from the merits of nuclear energy in helping to reduce greenhouse gas emissions and mitigate the potentially catastrophic risks of climate change. Nuclear energy also contributes towards a path to energy security for many countries which are currently vulnerable from their dependence on overseas sources of energy such as oil. This lack of energy independence is a major national and global security concern for the secure and stable functioning of economies and societies. Adopting nuclear energy can help in reducing the potential for conflict among countries for finite energy resources such as oil and natural gas. This is particularly the case in Asia where economic growth calls for greater supplies of energy. Nuclear energy can positively impact many areas of a country’s economy and society. When it comes to transportation, automobiles are a major consumer of fossil fuels. If nuclear energy was adopted, it could be used to power electric or hybrid electric vehicles that can greatly reduce oil demand and cut greenhouse gas emissions. In addition, nuclear power plants can provide high-quality process heat along with electricity. This process heat can be used in other areas: water desalination, preparing hydrogen for fuel cells, residential heating, and serve other industrial processes that require heat. It must be acknowledged that nuclear energy is not without its risks, as evinced by the unfortunate Fukushima accident in 2011. However, we must not forget that Fukushima was a multiple tragedy that also involved an earthquake and tsunami which accounted for the vast majority of casualties. Although any life lost is one too many, perception and stigma must not exxagerate the potential risks associated with nuclear energy. In fact, on a megawatt-per-megawatt basis, nuclear kills fewer people than almost any other source of electricity in the US. This is particularly so when compared to air pollution from coal, the single biggest supplier of electricity in the US, which contributes to the deaths of 14,000 Americans annually. Comprehensive and rigorous nuclear safety designs, procedures and enforcement measures go a long way towards averting accidents, as they have for the many nuclear power plants operating today. 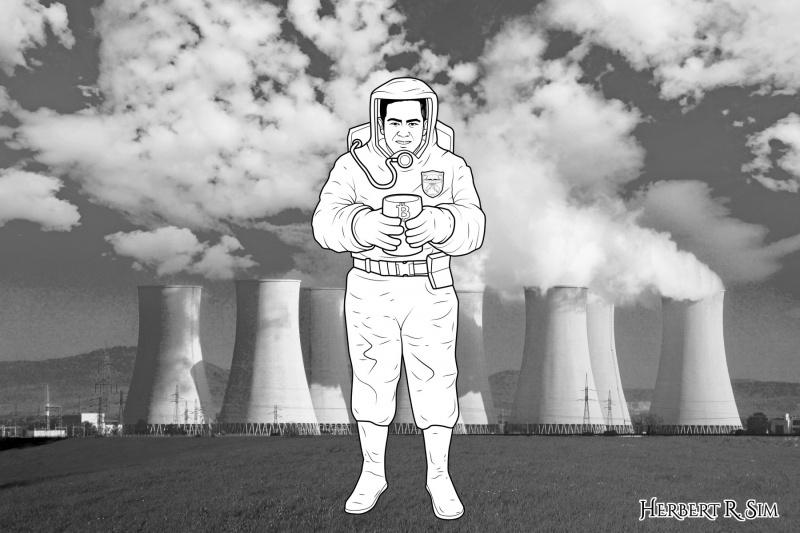 In the final illustration in full color, you will also see the Crypto Chain University‘s logo on the left side of the chest of the nuclear suit. Another area of risk to address is that of nuclear waste, specifically high-level waste, which refers to the used nuclear fuel left over after nuclear fission in a reactor. High-level waste can remain highly radioactive for thousands of years, one of the drawbacks of the raw material needed for nuclear power generation. However, this is a risk that can be managed. Out of various options, there is a consensus among scientists that underground storage is the best option to store nuclear waste safely. In Finland, one of the world’s most successful models of this option, a current test site called Onkalo, will be used as a final repository from 2020 to dispose of 9000 tons of used fuel. The site will be located as deep as 450 meters underground and the used fuel will be stored in protective casks. Some countries such as France and Japan carry out fuel reprocessing (i.e. recycling) so that the used nuclear fuel can be reused and its utility maximised. Eventually though, this fuel too will need a long-term storage option. Nuclear energy should continue to be part of the solution for sustainable, secure, reliable and efficient sources of energy. In fact, it has the potential to have a larger impact on our energy future if its risks are managed and its potential is developed.